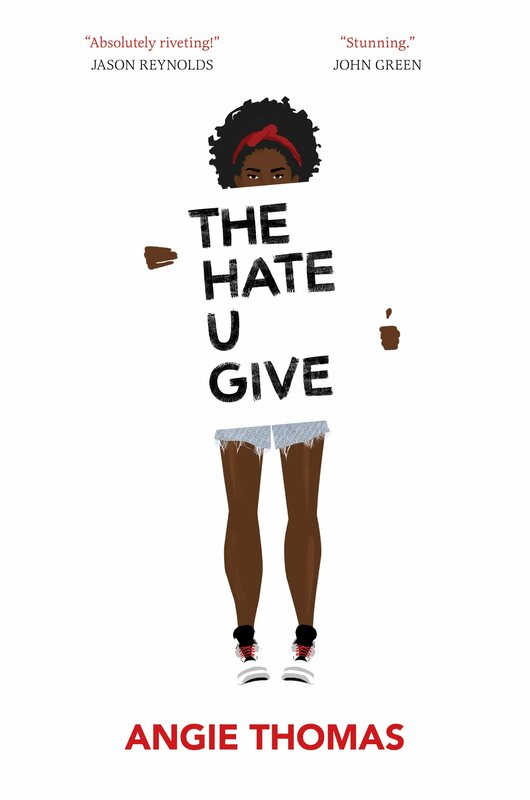 Angie Thomas’s first book, a novel, The Hate You Give addressed serious topics about the black community and violence on a national scale. The protagonist of the book, Starr Carter, has two lives: one in her predominantly white school and one in her crime-ridden neighborhood. She keeps these world separate almost her entire life up until she witnesses her childhood friend get shot by a white police officer. Starr is overwhelmed by the pressure of speaking out and testifying before a grand jury. This incident, to her, means that the carefully built boundary between Starr’s two worlds will crumble into nothing but rubble. First and foremost I would like to give high praise for Starr’s character progression. She starts out the book with little self confidence and even less self identification. With whispers in the hallways and even people she trusted most turning against her, Starr says, “That’s the problem. We let people say stuff, and they say it so much that it becomes okay to them and normal for us. What’s the point of having a voice if you’re gonna be silent in those moments you shouldn’t be?” Starr begins to notice the trends and reality of the situation she was overall trying to avoid. She reaches a strength that she has always had in her but never thought to use… strength you could even say she was afraid of. For that, Mrs. Thomas, I thank you. Another reason praise this book is because of the bravery and perseverance the main character has. Testifying against a white officer and turning against the entire school is a huge step and it shows a lot of commitment. When describing Khalil’s story she even says, “Once upon a time there was a hazel-eyed boy with dimples. I called him Khalil. The world called him a thug. He lived, but not nearly long enough, and for the rest of my life I’ll remember how he died. Fairy tale? No. But I’m not giving up on a better ending.” You see, people are so afraid of standing up for what they believe in that they stay quiet and slowly kill themselves in the process. One of the major reasons #BlackLivesMatter is an organization is to speak out against institutionalized racism and and extrajudicial killings. Starr stands up for what she believes in: “Brave doesn’t mean you’re not scared. It means you go on even though you’re scared.” These words couldn’t be more true considering we are losing lives on an everyday basis and are not getting recognition let alone justice. The African American race is used as a platform for makeup and clothing. Our culture turned into a trend and a hashtag. Our lives governed by bodies which are not our own. Starr almost laughs at it by saying , “Funny how it works with white kids though. It’s dope to be black until it’s hard to be black.” You cannot chose to be black and you can’t wear my culture and throw it in the closet for next season. My life is not a trend and my voice is not a whisper. That is why I love this book, because you screamed the words many are too afraid to say; and day by day, copy by copy, you are changing every reader’s life. Overall, I love this book and will continue to speak highly of it. I hope to see more work from you one day Ms. Thomas.